Tento týždeň sme sa dohodli s Oldschool Mod Ash na rozhovore. Ako celý rozhovor dopadol si prečítate nižšie. Mod Ash sa veľmi pekne rozpísal a rozhovor je skvelý! Dohodli sme sa s ním, že mu neskôr pošleme aj odkaz na tento topik aby si mohol prečítať vaše reakcie. Pre zvedavcov prikladáme aj anglickú verziu. Tell us something about you. What is your favourite pass time activity? Do you practice any sports? What Tv shows, movies and what kind of music do you like? Ahoj! I'm Ash, and I've been working for Jagex for just under 10 years. When I'm not in the office, I'm often out playing violin with local orchestras, mostly doing classical/baroque pieces. I like movies with lots of action and angst, preferably not too much romance, and I'll happily watch any movie or TV show that Joss Whedon wrote. Plus I volunteer doing accountancy work for a local charity. What type of 'Scaper are you? Social player, Quester, Skiller or Killer? I like questing. I like the stories, especially when the quest is engaging and exciting. My favourite quest of all time is Chosen Commander, by Mod John A. How did working as J-Mod affect you? What is different about you now? I played RuneScape from the start of 2002. Jagex's records only go back to February 2002, so I don't know the exact date. Anyway, by the time I finished university in 2004, I was a forum mod, and I wanted to join Jagex for a job running the forums. Fortunately the success of RS2 meant that Jagex was hiring, and I got in. It meant I'd got a lot less free time for RuneScaping, of course, especially as I've never been good at going home on time. I kept playing when I could, of course. It's now over 12 years since I started playing RuneScape; in that time, I guess I'm mostly... older. And larger around the waist. And hopefully a little more mature! We all know you love your work so please be honest. Are you a workaholic? How much time do you spend working during a week? Do you also work from home? Eh, I like getting stuff done. It makes me happy! So there'll usually be one or two evenings in a week when I'm at work later than expected. The kebab van shuts just after 11pm, so I always aim to be out of the office before that happens. Jagex staff generally can't do programming work from home, although I can access the forums and social media to keep in touch with players that way. What programming languages do you know? Which one is your favourite? In fact I don't know any real languages. RuneScape is written in a fairly simple in-house language called "runescript", developed by Andrew Gower. The runescript compiles to java bytecode. Andrew's original plan was that he'd make the game engine in java, and his non-programmer brother, Paul, would be able to write game updates in runescript. That way Paul's creativity could be used to design a great game quickly, but Paul wouldn't have to spend years learning to be a programmer. That was handy for Jagex, since content developers could be hired who were good at game design and good at dialogue, yet they didn't need to be expert programmers because they'd just use runescript, which is quick to learn. Do you like football? If so, what club do you like the most? Sorry, I've never understood sports. Have you ever been to Czech republic? What about beer, do you like it? I'm afraid I've not been there. Officially, Jagex staff are not encouraged to endorse alcoholic drinks or drugs, so I'll have to skip that part of the question too. Is there a plan to add new quests and achievements diaries? Yes. Thing is, we could do a quest, or we could do achievement diaries, or we could do Clan Wars, or we could do something to improve trading, or we could add a bunch of new treasure trail rewards, or we could do something else entirely. The question is which one we should do first. So what we're going to do, probably next week, is put up a survey asking the players what their priorities are. If quests and achievement diaries are seen to be popular, we'll poll that sort of thing. If the survey finds that most people would prefer Clan Wars to come first, quests will have to wait a bit longer. Probably the most discussed topics on Oldschool are Free to play worlds, Bonds and Grand Exchange. Can you tell us what are your thoughts on them? Is any of that going to be ever implemented? Bonds: There are various uses for bonds in RS3, but most of them don't apply to OSRS - we don't have Treasure Hunter, Solomon or anything like that. I suppose the main thing would be letting people pay for their membership via bonds. That really comes down to whether players would want to pay for membership that way. The engine team tells me they could "probably make it possible if necessary", but we're not going to do it unless players want it. Similarly, there was a suggestion about letting people transfer cash from RS3 to OSRS securely, via an official transfer system, on payment of a bond. It sounds quite controversial to me, but people try to transfer cash all the time, and many of them get scammed, so maybe it's worth pitching that idea to the community to see if they'd like it. GE: Whenever I see a load of people demanding the GE, I see them followed by a load of other people hating the GE and claiming it'll ruin OSRS. So, whichever group is right, I don't believe a GE poll would get 75% support in the current climate. We're planning to run surveys to see what sort of trade solution players actually want. Maybe we can design something that the GE-haters would tolerate, and which would still improve trading from the current spammy mess. F2P: If Jagex lets people play OSRS for free, it'll need to be sure that any increase in botting and hijacking can be handled. Once people can make disposable accounts for free, transferring items freely between them, it's far harder to police the game. Back in 2007, botting got so bad that Jagex ended up having to impose a trade restriction, destroying the Wilderness. I don't want to see that happen again, even if F2P would be fun. Is Oldschool going to reach 6th Age? Can we expect to see any gods? I'd prefer us not to contradict any lore from the other RuneScape. 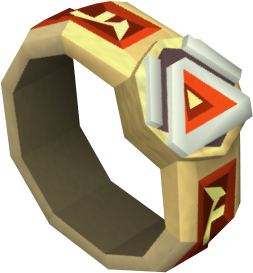 Since we're never going to be able to copy all the quests that led to the death of Guthix and the dawn of the 6th Age, I don't think the 6th Age would make a lot of sense for OSRS. Also, I'm hesitant to make such a dramatic change to the old-school game. Our community loves the Behind the Scenes screenshots you guys keep posting on twitter. Could you please tell us, or even better, show us something cool, that nobody else hasn't seen yet? Eh, whenever we make anything cool, the first thing we do is tweet it. Sorry, we simply haven't anything new that hasn't already been seen. When every update starts out basically as a dev blog and a poll, we don't really have secrets, so we tweet everything! How do you maintain Oldschool economy healthy? Are there any plans on fighting the crashing prices of high level items? We keep looking for places to add cash sinks. The Trident of the Seas is one, for example. Also, minigames will tend to give out resource items - especially items that are commonly botted such as flax and essence - rather than cash. High-level items do tend to crash, so we're also keen on having them disappear out of the economy. 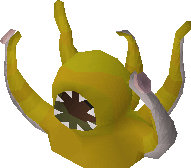 This weekend we're polling a Kraken Tentacle item that would effectively eat abyssal whips over time. Do you have any further plans for updating Oldschool? Oh yes. I want to see Clan Wars, a trade system of some sort, more treasure trail rewards, a quest that's unique to OSRS - preferably giving enough QP to unlock another slot for blocking Slayer tasks - and bank tabs. I've put a lot of time into getting us bank tabs. Also, one day, I'd like to see a repeatable minigame where you're exploring randomly generated dungeons with a party of other players, gathering resources as you go, and fighting monsters in there (but I don't want it to be a skill). Love Story Quest which has one of the greatest story lines from all of the quests (based on editor's personal opinion). Can you remember how many people worked on this quest? What was your role? Where did the concept and inspiration for the story come up from? Thanks! The story's originally mine, with the WOM's ex-girlfriend coming for revenge, and forcing you to team up with the WOM to fight your way through his POH to confront her. In my original draft, I was going to have you kill her, but Mod John A spent some time working with me on the story, and he rightly persuaded me not to do that. We had a 3D modeller and an animator providing the graphical assets for the quest, and a team of 3 QA testers looking for bugs before launch. The code's all mine, and I also wrote the four music tracks you unlock. Do you have any dream updates you haven't realized yet? Maybe because there was no time for it or it wasn't yet technologically possible? I once pitched an idea for improving Dungeoneering's grouping system, back in about 2010-11. At the time, parties had to recruit for members via the forums, or by sitting in the lobby area spamming. I created an interface that could show a list of parties currently recruiting, with minimum/maximum combat/skill levels, letting players view the stats of the existing party-members, and applying to join the party themselves, if the owner didn't kick them. Then, when the owner was satisfied, the party would be ready to enter the dungeon. I think it'd have been an improvement over the system they had at the time. However, it couldn't form parties from players on different worlds. The game engine at the time didn't offer cross-world communications. So it was decided that we'd drop my idea, and come back to it when the game engine could do a cross-world grouping system instead. I get the impression that's still not happened yet! Anyway, thanks very much for your interest, and - most importantly - thanks for playing Old School! Na shledanou. Řekni nám něco o sobě. Co děláš ve volném čase? Děláš nějaké sporty? Co máš rád za pořady, filmy, a jaký druh muziky posloucháš? Ahoj! [Ash přeložil sám], Jsem Ash, a pracuji pro Jagex téměř 10 let. Pokud zrovna nejsem v kanceláři, většinou hraji na housle s místním orchestrem, nejvíce klasické/ barokní díla. Mám rád filmy s hodně akcí a pocity úzkostí, nepreferuji příliš romantiky, a rád sleduji filmy nebo pořady Josseho Whedona. Plus dělám dobrovolně účetního pro místní charitu. Jaký typ RSáka jsi? Společensky založený hráč, quester, skiller nebo killer? Mám rád questy, příběhy, zejména když je quest okouzlující a vzrušující. Můj nejoblíbenější quest je Chosen Commander od Moda John A.
Jak na tebe práce J-Moda působí? Co se na tobě změnilo? Hraji RuneScape od roku 2002. Jagex archív je pouze od února 2002, takže nevím přesné datum. Každopádně, v době, kdy jsem dokončil univerzitu roku 2004, jsem byl forum mod, a chtěl jsem se přidat k Jagexu a pracovat na chodu fór. Naštěstí úspěch RS2 znamenal, že Jagex začal zaměstnávat, a já byl přijat. Samozřejmě to znamenalo, že jsem měl méně času na hraní Rs, hlavně jsem nikdy nebyl dobrý v chození domů včas. Samozřejmě jsem hrál kdykoliv jsem mohl. Nyní je to přes 12 let, co jsem začal s RS. V dnešní době si myslím, že jsem... starší. Větší v pase. A doufám, že trošku více dospělý! Všichni víme, že miluješ svoji práci, takže buď prosím upřímný. Jsi workoholik? Kolik času týdně trávíš pracováním? Pracuješ i z domova? Eh, mám rád, když jsou věci hotové. Dělá mě to šťastným! Takže tam bude jeden nebo dva večery v týdnu, kdy pracuji déle, než jsem očekával. Dodávka s kebabem zavírá v 11 večer, takže odcházím z kanceláře vždy předtím, než se tak stane. Jagex zaměstnanci nemohou pracovat z domova, ačkoli se mohu připojit na fora a sociální média a tak se držet v kontaktu s hráči. Jaké programátorské jazyky umíš? Který máš nejraději? Popravdě neumím žádné opravdové jazyky. RuneScape je psaný v docela jednoduchém vnitropodnikovém jazyce zvaném "runescript", spravovaný Andrewem Gowerem. Runescript je v souladu s java bytecode. Andrewův původní plán byl, že hra poběží v Javě, a jeho bratr, Paul, který není programátor, by měl být schopen psát herní updates v runescriptech. Takto by mohla být Paulova kreativita využita k designování skvělé hry rychle, ale Paul by musel strávit roky učením se programátorstvím. To bylo užitečné pro Jagex, od content developerů mohli být najatí ti, kteří byli dobří v herním designu a dialozích, ještě k tomu nepotřebovali být experty v programování, protože používali jen runescript, který se rychle naučí. Máš rád fotbal? Pokud ano, jaký klub máš nejraději? Omlouvám se, nikdy jsem nerozumněl sportům. Byl jsi někdy v české republice? Co pivo, zachutnalo? Obávám se, že nikdy nebyl. Oficiálně, Jagex tým nepodporuje alkohol ani drogy, takže bych tuhle část otázky přeskočil. Plánujete přidat nové questy a achievment diaries? Ano. Můžeme udělat quest, nebo achievment diaries, nebo Clan Wars, nebo můžeme udělat něco ke zlepšení obchodování, nebo můžeme přidat houf nových treasure trail odměn, nebo bychom mohli udělt něco úplně jiného. Otázka je co bychom měli udělat první. Takže co se chystáme dělat, asi další týden, je, že vložíme anketu tázající se hráčů, jaké jsou jejich priority. Pokud budou questy a achievment diaries vypadat oblíbeně, budeme hlasovat o nich. V případě, že anketa zkáže, že nejvíce hráčů preferuje Clan Wars jako první, questy budou muset počkat. Možná nejdiskutovanější témata na Oldschool jsou Free to Play worldy, Bondy a Grand Exchange. Můžeš nám říct jaké jsou vaše plány? Bude něco z toho někdy přidáno? Bonds : Je několik využití pro bondy na RuneScape 3, ale většina z nich nesedí na OSRS. Nemáme Treasure Hunter, Solomon nebo něco takového. Předpokládám, že hlavním důvodem proč hráči chtějí bondy, je platba membership touhle cestou. To opravdu záleží na tom zda hráči chtějí touhle cestou členství platit. Tým vývojářů mi říká, že něco takového udělat možná můžou, pokud to bude nezbytně nutné, ale nebudeme to dělat pokud to hráči nechtějí. Také se objevily nějaké návrhy ohledně možnosti převodu peněz z RS3 na OSRS bezpečně přes oficiální převodový systém pomocí bondů. Mně osobně to příjde jako docela kontroverzní, ale hráči se neustále snaží převádět peníze a jsou mnohdy okradení, takže možná by nebylo od věci předložit tento nápad hráčům, aby se zjistilo jaký na to mají názor. GE : Kdykoliv vidím nějaké hráče vyžadovat Grand Exchange, vidím také spoustu dalších hráčů, kteří na GE nadávají a říkají, že by GE zruinovalo OSRS. Takže ať má jakákoliv strana pravdu, nemyslím si, že by hlasování o GE získalo 75% podporu. Plánujeme odstartovat průzkumy abychom zjistili jaký způsob obchodování hráči chtějí. Možná bychom mohli udělat něco, co by "GE-haters" tolerovali, ale zároveň by vylepšilo současné obchodování. F2P : Jestli Jagex nechá hráče hrát OSRS zdarma, bylo by nutné se ujistit, že jakékoliv zvýšení počtu botů a "únosů" by bylo řešitelné. Jakmile si hráči můžou vytvořit jednorázové účty zdarma a převádět mezi nimi volně věci, je mnohem těžši kontrolovat hru. Tehdy v roce 2007 to zašlo tak daleko, že se musely zavést trade limity a zruinovat Wilderness. Nechtěl bych něco podobného znovu vidět. Dosáhne OSRS 6. věku jako RS3? Můžeme očekávat příchod nějakých bohů? Raději bych nevyužíval žádný příběh z RS3. Jelikož nikdy nebude možné okopírovat všechny questy které vedly ke smrti Guthixe a příchodu 6. věku, myslím si, že by 6. věk na OSRS nedával moc smysl. A také bych nechtěl udělat takovou dramatickou změnu v old-school hře. Naše komunita miluje Behind the Scenes screenshoty, které postujete na Twitter. Můžeš nám říct, nebo ještě lépe ukázat, něco skvělého, co ještě nikdo neviděl? Eh, kdykoliv uděláme cokoliv skvělého, první věc co uděláme je, že to "tweetneme." Omlouvám se, ale jednoduše není nic nového co by ještě nikdo neviděl. Jelikož každý update začíná jako dev blog a hlasování, jednoduše nemáme žádné tajemství, takže tweetujeme všechno! Jak udržujete Oldschool ekonomiku? Jsou nějaké plány jak zastavit klesající ceny high level věcí? Neustále hledáme místa na přidání "cash sinks." Trident of the Seas můžu uvést jako příklad. Také v minihrách se budou dát získat spíše "resource items" - obvzláště věci, které jsou obvykle získávány boty, jako flax nebo essence - než peníze. High-level věci mají tendenci crashovat, takže máme zájem, aby vymizely z ekonomiky. Tenhle víkend se bude hlasovat o Kraken Tentacle, což je věc, která by se časem efektivně dostala na místo whipu. Máte nějaké další plány na update Oldschool RuneScape? Oh ano. Chtěl bych vidět Clan Wars, nějaký trade systém, více treasure trail odměn, questy které jsou unikátní na OSRS - především aby dávaly dostatek QP, aby odemčely další sloty na blokování Slayer tasků - a bank tabs. Do bank tabs už jsem investoval spoustu času. Také bych jednou chtěl nějakou opakovatelnou minihru, kde se skupinou dalších hráčů prozkoumáváte náhodně generované dungeony, po cestě sbíráte suroviny a bojujete proti monstrům (ale nechci aby to byl skill). Quest lovestory má jeden z nejlepších příběhů ze všech questů. Vzpomeneš si kolik lidé pracovalo na tomhle questu? Jaká byla tvoje úloha? Kde jste hledali inspiraci? Děkuji! Příběh, kde se chystá ex-přítelkyně Wise Old Mana na pomstu, a donutí vás spolčit se s Wise Old Manem, abyste se dostali přes jeho POH a utkali se s ní, byl původně můj. Podle mých původních představ jsem chtěl abyste ji zabili, ale Mod Jon A, který se mnou strávil při vytváření příběhů nějaký čas, mě správně přemlouval abych to nedělal. Měli jsme 3D modeláře a animátora, kteří se starali o grafickou stránku questu, a tým 3 QA testerů, kteří před vypuštěním hledali bugy. Kód je celý můj a také jsem napsal čtyři písničky, které během questu odemčete. Máš nějaký vysněný update, který ještě nebyl realizován? Třeba protože nebyl čas na to nebo to nebylo technicky možné? Jednou v roce 2010-11 jsem předložil návrh, který by vylepšil systém vytváření týmu při Dungeoneeringu. V té době museli hráči hledat tým přes fóra nebo spamovat v Dungeoneering lobby. Vytvořil jsem interface, který by mohl ukázat seznam týmů, které momentálně nabírají hráče. V tomto seznamu by byly minimální/maximální combat/skill levely, možnost vidět staty hráčů v daném týmu a možnost přidat se do týmu sám, pokud by tohoto hráče nekickl zakládající hráč. Až by byl zakladatel týmu spokojen, tým by byl připraven vstoupit do dungeonu. Myslím si, že by to bylo vylepšení systému, který byl v té době. Avšak nebylo by možné vytvořit tým z hráčů z jiných světů. Tehdejší game engine nedovoloval meziworldovou komunikaci. Takže bylo rozhodnuto, že se můj názor zahodí, a vrátí se k němu jakmile game engine dokáže zajistit meziworldový "grouping" systém. Mám dojem, že to se stále nestalo! Ďakujeme ti za tvoj čas a za úžasný rozhovor Mod Ash! Great interview, i see Ash did his preparation too .. Just there are too many rs-related questions for me - a person who doesn´t play anymore, I´d prefer some juicy personal details to calm down my stalker cells..
Its really true F2P for OSRS would bring a lot of troubles to the game e.g scamming, boting etc. But on the other side Bonds would compensate the it. You dont have to name it Bond. We want just ability to prelong membership for OSRS ingame wealth. Swapping OSRS and RS3 coins on account might we even greatest solution (in some fine ration 1:5?) but I think also harder sort out. Most peoplelayers are traying to change their OSRS money for RS3 is because of Bonds and membership especially. I cannot await to see how will you solve out the GE question so its acceptable even for GE haters. Nice, to s tym f2p som ocakaval ze bude taka odpoved, predsa bola pravda ze to bolo dost problemove co sa tykalo boterov scammovania a pod... ale tie bondy...no to som zvedavy ako by to riesili, lebo nebol by to vobec zly napad naopak pre nas (OSRS) skvely, nebolo by tolko scamm transferov jak je teraz. Taktiez uvidim ako poriesia to s tym ge aby ho aj haters tolerovali. Didnt know whole RS is using its own language and never expected it might be so easy to get used to it. Also I am surprised so small team can creat whole quest just by themselvef including new music tracks. Really skillful poeple are working for Jagex I see. I am glad Zeneviva survived her romance with Wise Old Man and the quest ended with "happy end". The cross-world connectivity would be an amazing feature and might push RS to next level. GE in OSRS is not the best idea, we all know that. Player market at big cities such as Varrock is one of the most specific feature of OSRS. It brings the life to the cities. The Zybez OSRS GE database is a great help to people who are looking for some specific goods. For trading system in OSRS only way I see as good solution might be the "Trading stalls" working similar as as the long term planned update for RS3 mentioned at Runefest (players open their own stand with goods they are offering, there might be included even some mechanics texting their Offer announcement - no need of using third-party "autotalkers" and possibility of continuous selling even if the player goes offline). One more question for Mod Ash: Is there some other J Mod we should interview next? To lukasduko: Ako vidím jediná prijateľná odpoveď pre teba by bola: "Áno, OSRS bude F2P od zajtra." Mod Ash dal jasnú odpoveď, OSRS je P2P hlavne preto aby minimalizovali počet botov, rwt a ďalších nepríjemných vecí ktoré len kazia afmosféru v hre. Takze evidentne na moji otazku o rares neprisel cas..
gogy wrote: Takze evidentne na moji otazku o rares neprisel cas..
SUCHAR JEDEN! Vlk z Wall Street taky fetoval! Každopádně palec hore, dobrý čtení A souhlas s Mikelem, jakožto nehrající bych uvítal víc osobních otázek, ale nemůžu mít všechno Všem, co se na týdle srandě podíleli rešpekt. never hunted postcount, but 1944 is fakin awesome.. OPERATION OVERLORD! e: Kdo se postaral o překlad? Marty wrote: e: Kdo se postaral o překlad? Otázky od hráčov zbieral MICHAL, na fóre Mikel, ja a Kwaichi sme pripravili finálne otázky pre Interview v angličtine, z angličtiny celý rozhovor prekladali Misko a Zasranek a ja som pridal grafiku. Najviac ma aj tak zaujala posledná časť s tým Dungeoneeringom, to by som skutočne prijal, keďže nemám rád spamovanie " + 1 35f " a tie somariny tohto typu by bol takyto engine super, medzi serverová komunikácia je sračka lebo to im java script neumožní snáď nikdy, jedine ak by kúpili engine. Neviem, všade hľadanie grupy na spoločné dungeony funguje cez takýto navrhovaný systém Samozrejme, všetky tieto MMORPG majú kúpený engine.